Through our two programs, we realize our mission. These programs — Books for Babies and Books for Kids — are our engine, and donors and other supporters are our fuel. Together they have enabled us to reach over a million children and their families. 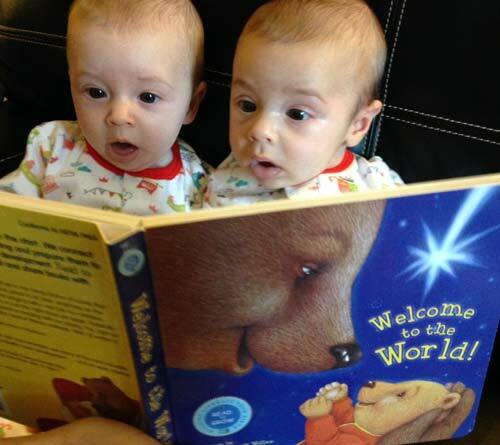 We hope the videos about Read to Grow and early literacy will inform and interest you. We think results of our surveys will shine light on the effectiveness of our work. And we believe the testimonials here will speak for themselves. We conducted two surveys to find out what families think of our Books for Babies program in the hospitals, where we reach about 22,000 mothers and 61% of babies born in Connecticut annually. Also in the hospitals, volunteers visit with mothers to talk about early childhood literacy and Literacy Packet contents. 2016: IKEA Life Improvement Challenge Award from IKEA New Haven. 2015: Recipient of a NBCUniversal Foundation’s 21st Century Solutions grant challenge award. 2010: Connecticut KIDS COUNT, funded by the Annie E. Casey Foundation, cites RTG among agencies in the state working to improve child literacy and to close the achievement gap. 2009: “Kids Are Our Business” award from Clifford Beers Guidance Clinic, for commitment to enrich the lives of children and families in the Greater New Haven and Shoreline areas. 2008: Induction into the Community Hall of Fame, Channel 13/WNET New York and WLIW21. RTG is one of 11 recipients and the only Connecticut awardee. 2008: The Mary B. Ives Award from New Haven Free Public Library, for literacy work. The following testimonials are taken from hundreds of letters and notes we have received. We thank everyone who has let us know how we’re doing!